Money towards transport, education, libraries, open spaces and footpaths will be provided by Bellway as part of the planning agreement for its Hathaway Gardens development off Birmingham Road. The 60-home residential scheme was recently completed with just a few properties remaining for sale. The housebuilder now hopes to add to the development, with plans for another 64 homes currently lodged at the district council. 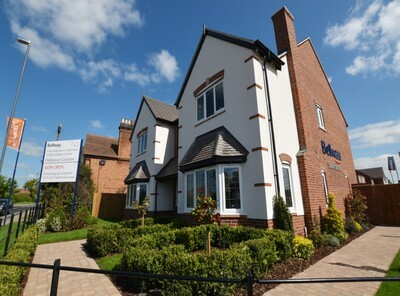 Jane Yolland, Sales Director for Bellway South Midlands, said: “The development has been extremely popular, as buyers have been attracted by the prime location along with the high specification of the homes. Payments from Bellway will include £85,000 towards transport provision, £166,952 for education improvements, £9,722 for built facilities, £10,050 towards enhancing library services, £13,750 for open space provision, £25,767 towards flood risk management and £2,714 for footpaths. Council decision makers will decide in the coming months on the second phase of development. There are a few properties remaining for sale at Hathaway Gardens and home hunters can visit bellway.co.uk for more information.